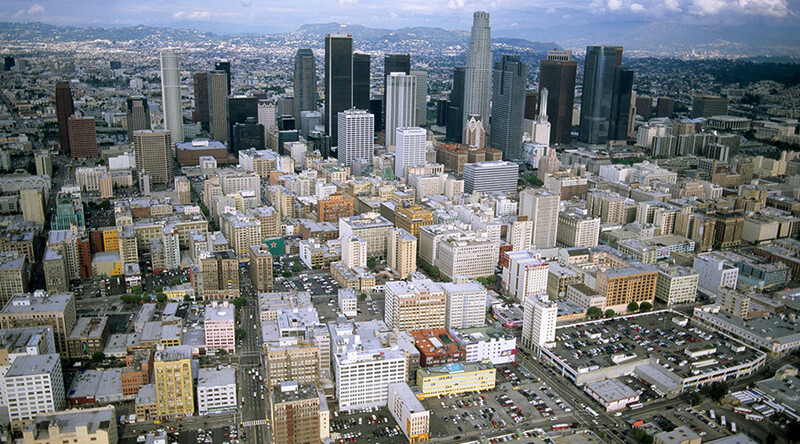 Thousands of buildings, many on Los Angeles’ most famous streets from Sunset to Hollywood Boulevard, are highly prone to earthquake damage. 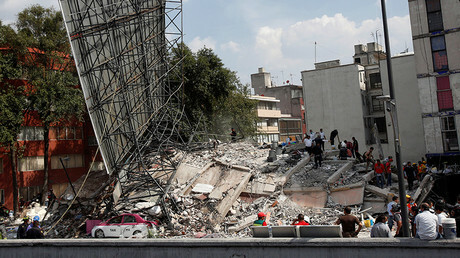 Retrofitting for seismic strengthening while costly has become more urgent following Mexico’s earthquake. In the roaring Twenties of the last century, concrete buildings transformed Los Angeles with a skyline lining some of LA’s most famous streets: Wiltshire, Hollywood, Sunset, Ventura, Main and Broadway. The buildings are downtown factories, Ventura Boulevard high rises, and condos in Westwood. In addition to the infamous San Andreas fault line, Los Angeles sits on five other fault lines – Santa Monica, Newport-Inglewood, Puente Hills, Raymond, and Hollywood. Los Angeles building inspectors spent two years developing a list of 13,500 soft-story buildings that will probably need seismic strengthening. The structures, many of them built before 1978, are residences considered to either be wood-framed or have weak floors because they are built over a carport or held up by slender columns. Many were built following after World War II as Los Angeles spread north into the Valley and west toward the ocean. Each building has been put on notice and a number of them have begun retrofitting but with a price tag as high as $130,000, the costs are out of reach for many residents facing rising rents and a housing crunch, according to the LA Times. Researchers at the University of California investigated concrete buildings, which are vulnerable to earthquakes because they lack steel reinforcing bars (rebars) that hold a building in place when there is a sideways movement. They found that of 1,500 buildings, 75 could collapse in a large earthquake. A searchable database using a street address is available at the LA Times website. In 2014, Los Angeles City Council instructed building officials to find apartment buildings vulnerable to collapse in an earthquake, focusing on the thousands of wood-frame buildings that exist in the city. The phrase “soft story” buildings is used to describe a residence that has a weak first floor because it is built over a carport or held up by slender columns. These are usually structures built before 1978. Older concrete buildings were also considered vulnerable. That decision came the same year San Francisco passed a landmark earthquake safety ordinance that required the city’s wooden apartment buildings to be strengthened. Under the city’s earthquake safety program, they identified 70,000 buildings, and found 6,000 that need further inspection and possible retrofitting.